Imagine yourself dressed for business with flurry patches all over you, bursting with different colors. Or your store that with unlabeled shelves or paths that wont lead down to the check out counter. Imagine if that is how your website look and function. 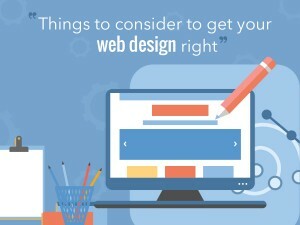 Since your web is your business’s representation online, it must not only function well but looks pleasing to the eye and easy to navigate too. In this episode of Insider Marketing Secrets, David Counsell will talk about your website design. You don’t want it to work like some 12 year olds tinker with it but should also be carrying out its purpose. Especially that Google keeps on rolling changes, you don’t want to be left with a pretty website that is nowhere to be found. Have a listen now to know how you can work your way to getting it right. 00:27 How important is this for your business? 00:43 What are the things you need to consider to get the design right? 00:51 Is the landing page easily identified? 00:55 Is it clear that they have arrived on your website? 01:07 Are your pictures sharp and not pixelated? 02:31 How much of your website is just additional bluff? 03:32 Is it easy to go around your website? 04:08 Have you test your links and does it say where it lead people? 04:51 Are your call-to-action obvious?